Military oath of women soldiers of the Red Army. 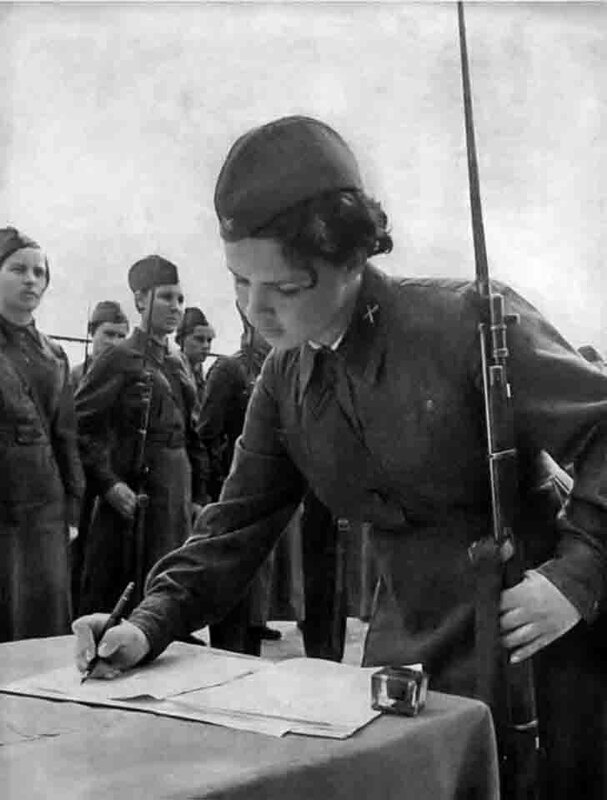 In the Red Army during World War II, women were not only supporting roles, such as signalers, nurses. There were even infantry units: 1st separate female backup Infantry Regiment, 1st single female volunteer infantry brigade (OZhDSBr) of 7 battalions with a total strength of 7000 men. They were mostly 19-20-year-old girl.